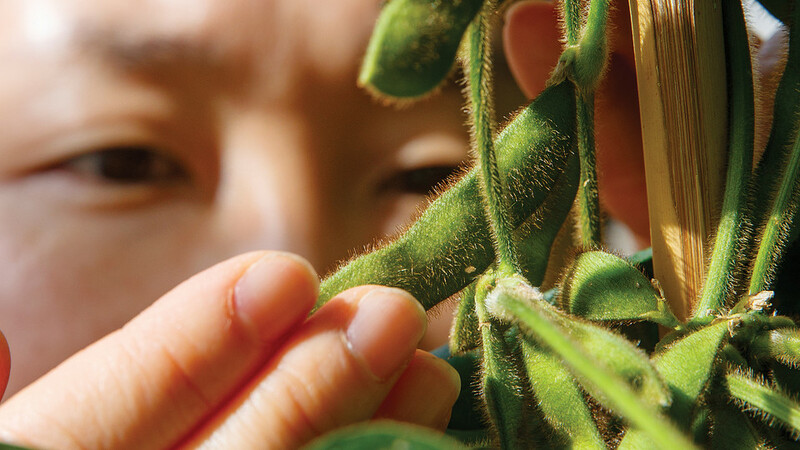 Learn how the University's Center for Plant Science Innovation is transforming agriculture. Southern rust has been confirmed in corn in three eastern Nebraska counties this week. Corn fields should be scouted soon and frequently in the coming weeks for this and other diseases in case treatment is necessary. Come see the results of this year's replicated soybean research and hear from presenters on cover crops, marketing, weed, insect and disease management, and much more. Programs will be at four sites in partnership with the Nebraska Soybean Checkoff. While it was built on a foundation of basic plant science, research at the Center for Plant Science Innovation is anything but basic. Edgar Cahoon, center director, believes the ability to bring findings to the field is what makes the work unique. What Would Happen if We Stopped Controlling Weeds? Openings are available for one-on-one, confidential farm finance and ag law consultations being conducted across the state each month. Insects and diseases are the most common issues in this report from east central Nebraska. This week's topics: Corn, soybean and wheat markets; determining dicamba soybean injury occurrence, 18th Annual Nebraska Grazing Conference, Palmer amaranth research, and the weather outlook for the coming week. Corn silking was 65%, well ahead of 42% last year and 38% for the five-year average. Condition was 86% good to excellent.Soybean blooming was at 65%, ahead of the average of 53%. Condition was 83% good to excellent.